Dark Corners of the City: Literary Murder in Seattle. If you're a murder mystery fan, there's everything to love about that topic. Seattle has a reputation as a haven for mystery writers. The moody, overcast skies. Constant rain. A population afflicted with Seasonal Affective Disorder. If you're a writer, all you need is a computer and you can live anywhere. We have home-grown mystery authors. J.A. Jance, Earl Emerson. K.K. Beck, Mary Daheim, Aaron Elkins, and others who use the northwest as a setting. 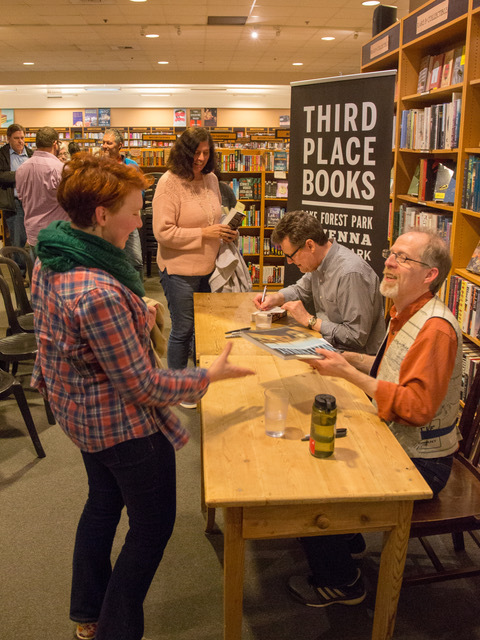 Kevin O'Brien and David B. Williams were positively cheerful about the topic in their presentation and book signing at Third Place Books on Monday. Local authors themselves, they have a perfect collaboration. 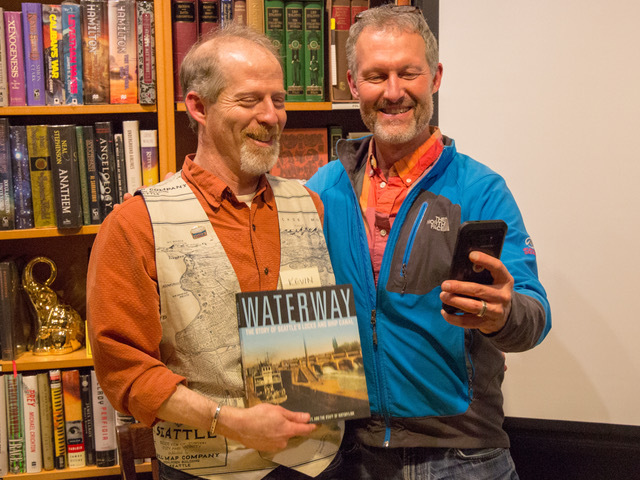 Williams writes books about Seattle - its corners, its Hidden Haunts (one of his books), places to walk (Seattle Walks). O'Brien writes the murders (Hide Your Fear, You’ll Miss Me When I'm Gone, Disturbed). Together they collaborated on Dark Corners. On Monday, they bantered back and forth while they shared their secrets with the mystery fans who came to hear them. They came with maps and photos - a whole lecture on where to stash a body and why the history of the location made it such a perfect spot. The juxtaposition of two cheerful authors cracking jokes about creepy and dark places was entertaining. 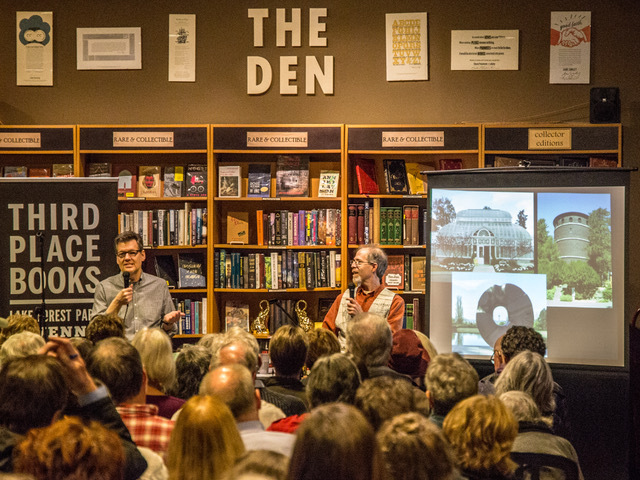 Dark Corners of the City: Literary Murder in Seattle, by Kevin O'Brien and David Williams can be ordered from Third Place Books, 206-366-3333.